Mark Sniderman’s academic and professional interests are focused on macroeconomics and financial regulation, especially the roles played by central banks. He is currently studying the unconventional monetary policies being employed by central banks in the wake of the global financial crisis, as well as their newer responsibilities for promoting financial stability. 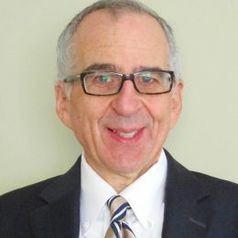 Sniderman came to Case after a career with the Federal Reserve Bank of Cleveland, culminating in his position as Executive Vice President and Chief Policy Officer. In that role, Sniderman served as principal adviser to the Bank president for economic and financial policy issues. As a senior executive officer, Sniderman had responsibilities for leadership of the Bank’s economic research, public affairs, and community affairs departments; he also served on the Bank’s management committee. Sniderman chaired the Bank’s Senior Policy Committee and was a member of its Credit Risk Management Committee. During his Federal Reserve career, Sniderman attended more than 100 meetings of the Federal Open Market Committee, the Fed’s monetary policy body; and spoke frequently to public audiences about the economic conditions and monetary policy issues. Sniderman continues to speak on these topics to a variety of business and professional audiences.